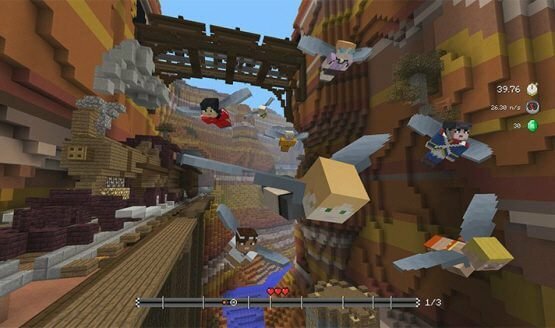 4J Studios released details of the Content Update 48 patch for Minecraft: Xbox One Edition and Title Update 56 for Minecraft: Xbox 360 Edition. Included are the normal bug fixes and game changes associated with most patches. New content includes a new Glide track called Canyon, a new Biome Settlers 2 skin pack, and new Terracotta layers added to Tumble. The full patch notes are below. Fix for MCCE #4954 – Mobs can't move with a block above them. Fix for MCCE #5151 & MCCE #5208 – Item frames don't show the custom name of their items. 4J Studios did not release any patch details for any other version of Minecraft that have achievements. The Xbox One and 360 patches are rolling out now.